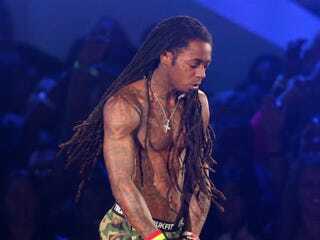 Lil Wayne sues Quincy Jones' son: According to TMZ, the rapper says he never gave permission for his music to be used in The Carter, a documentary about him. What voter-ID laws mean for young voters of color: A study predicts that an estimated 700,000 young minority voters could be barred from voting in November because of photo-ID laws passed across the country in recent years, the Huffington Post reports. The dumbest thing about the new iPhone: Slate's Farhad Manjoo is not a fan of the "incredibly annoying new dock connector" on the latest model. President Obama to honor WNBA champion Minnesota Lynx at the White House: On Tuesday, Sept. 18, the president will honor the team's memorable 2011 season, as well as the efforts of the Lynx to support health and wellness programs through its WNBA FIT and Breast Health Awareness initiatives.